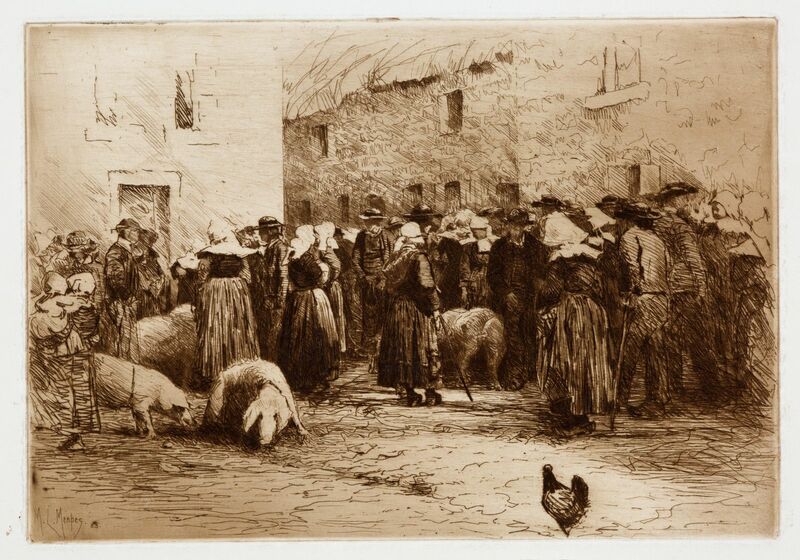 ETCHINGS FROM THE ADELAIDE ARTIST’S FRENCH SOJOURN. This selection of works on paper by Mortimer Menpes presents a snapshot of the young Adelaide-born artist’s time in Brittany. Between 1881 and 1883 he and his young family lived in Pont-Aven, where they formed part of a lively colony of international artists. Menpes, who later achieved success as a travel artist and portraitist, was attracted to the French region’s rustic charm and connection to history. His works in this display depict everyday Bretons going about their daily activities and capture their distinctive clothing, customs and vibrant village life.